Every August we head for mists and fogs, usually those that creep on cat’s paws and shroud the coastline of Oregon. But this year, squeezed by budget and time constraints, we took the advice of Far Out Flora and Gardenbook and opted to give the much-closer Northern California coast of Mendocino a try as a stand-in for the Oregonian fog and mists we’re always parched for by August. Kathy of the blog Gardenbook escorted a group of gardeners to Digging Dog Nursery and Mendocino Coast Botanical Gardens in July of 2010, a trip I was very sorry to miss. I had visited Digging Dog many years ago, long before their display gardens had grown in and become a garden travel destination near the little town of Albion, so a trip back was long overdue. So last Thursday, all scrubbed and packed, we headed to the Mendocino coast north of San Francisco, about a 10-hour road trip from Los Angeles. And other than one overnight en route in San Francisco, this summer we were camping, something I haven’t done in over a decade. We packed a bare minimum of camping gear, in case we decided it was simply too awful to endure, reasoning that after making an honest effort there’s no shame in retreating to a motel. But I’d forgotten that camping in a state park is not unlike a rustic motel — showers, bathrooms, firewood for sale. In other words, not much of a challenge even for a camping sissy such as myself. Maybe a thicker pad under the sleeping bags next time. An interesting twist was no cell phone connection for three days. Abrupt and total electronic detoxification. That might have been the best part. Mendocino reminds me quite a bit of Cornwall, England, and Big Sur, California, too, without the vertiginous hairpin road trip part of the journey. 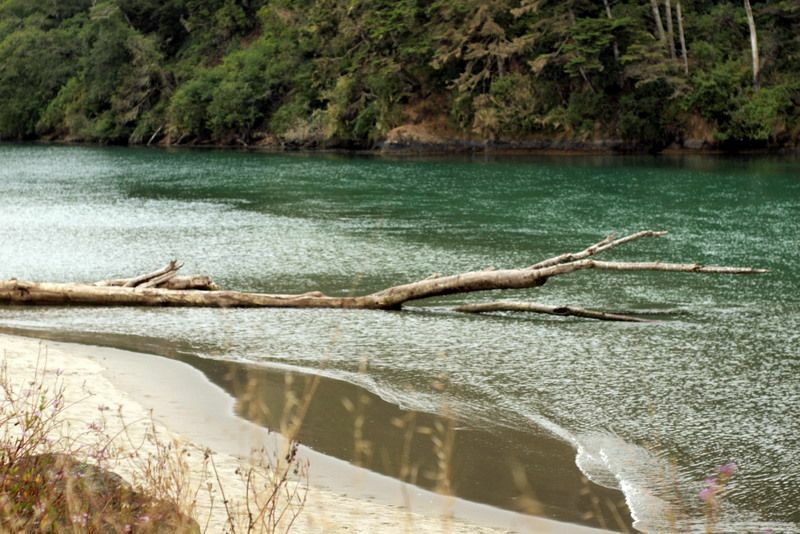 Mendocino Headlands State Park, day use only but kayak heaven. 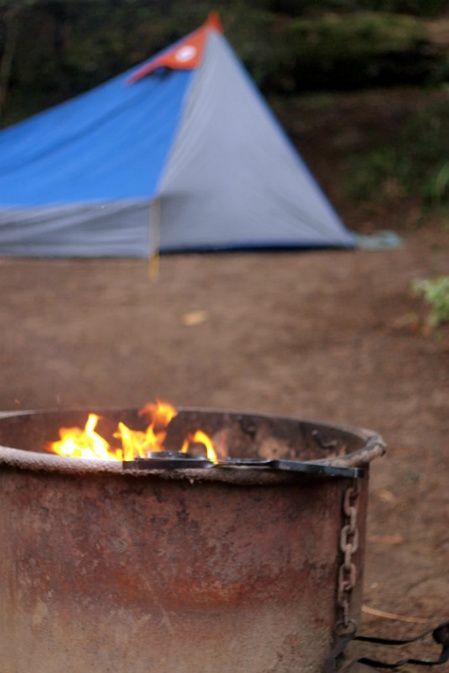 We camped at Van Damme State Park and also MacKerricher State Park. We’d found our fog and stayed wrapped in its embrace for three glorious days. 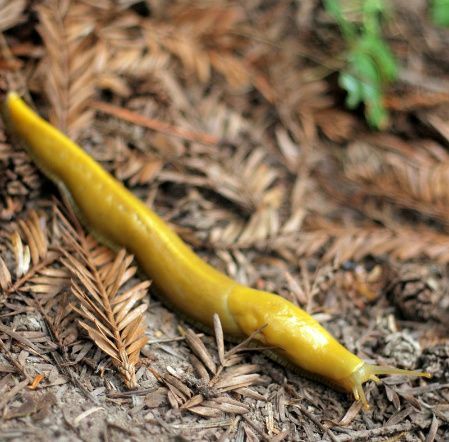 Home of the banana slug. Camping is great and all, but the highlight for me was visiting Digging Dog again. Entering the gate, after the digging dogs are petted, you are handed a clipboard with a catalogue and blank plant labels and pencil and set loose to wander the grounds and purchase plants at will. I hardly recognized the grounds, since they’ve matured into a garden that reminds me in style of what Nori and Sandra Pope had accomplished at Hadspen House in England. Deep borders backed now by mature hedges against which are filled infinite forms and rich, saturated colors that last and last in the cool mists of Mendocino, giving even late summer a spring-like freshness. 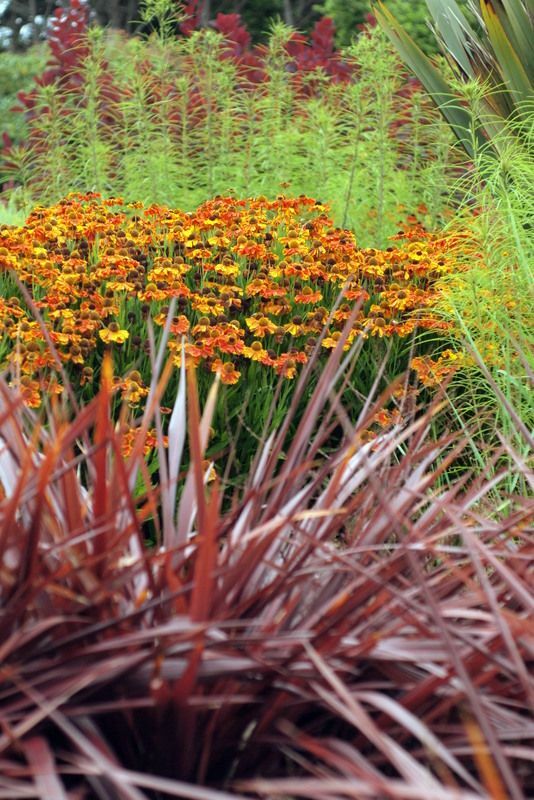 The detailed, intricate plantings designed by Deborah Whigham and her husband Gary Ratway carry the gardens strongly through every season, with late summer well represented. 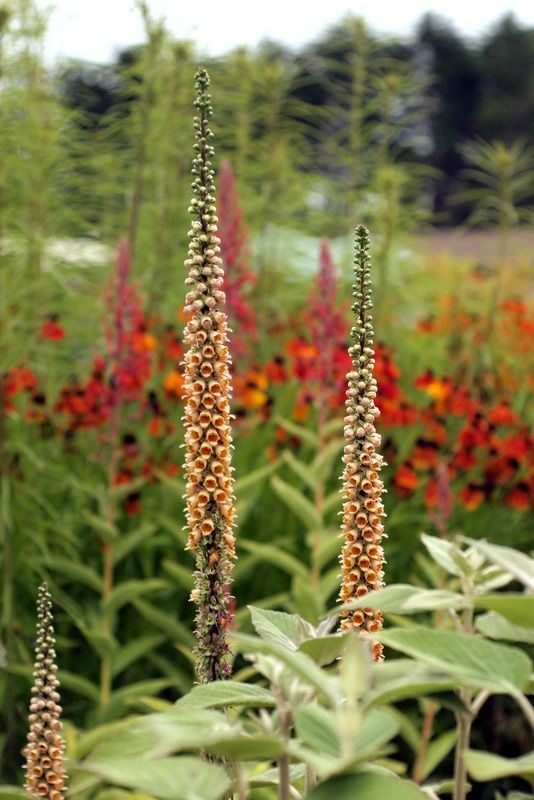 The owners are both obviously besotted with the textural wonders and colors perennials offer, buttressed and juxtaposed with shrubs, grasses, and bulbs in bloom, which in August included spectacular clumps of Gladiolus papilio and lots of eucomis. I took very few pictures since I was on the prowl for plants and had left both man and dog waiting in the car. When I couldn’t find Scabiosa ochroleuca, I asked Deborah for help, and we fell into a conversation veering in subject from Piet Oudolf to changing tastes in plants, all the time wandering in and out of the growing houses, wherein she’d lead me to a particular favorite, and I’d promptly add that one to my basket. 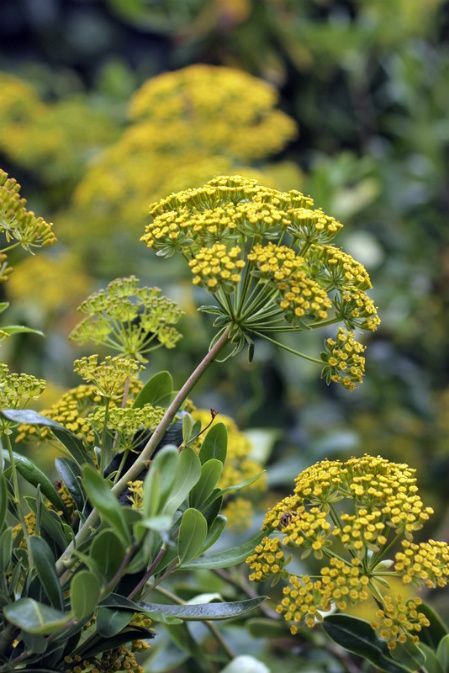 Exotic umbellifers like Ligusticum scoticum, the Scottish Lovage, with thick, succulent-like leaves, and Selinum wallichianum. Even familiar plants, such as Verbena bonariensis, have a special Digging Dog magic. Mine are all awkward angles and elbows, pitching and heaving over as though storm-tossed. 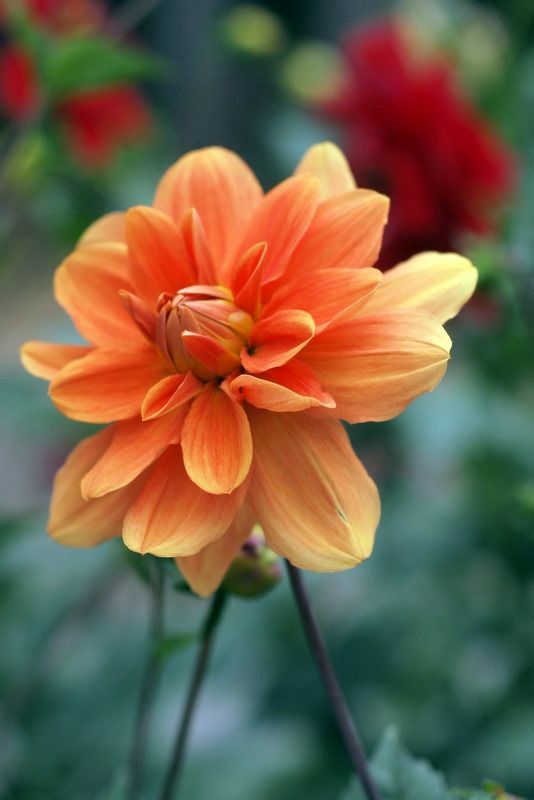 These have slimmer, tapered flowers, and maintain a disciplined, upright habit of growth. Deliriously happy plants like these eryngiums. Wonderful, seldom-seen shrubs like Bupleurum fruticosum. I asked Deborah if there was anything she wanted to grow and couldn’t. Cold was not an issue, just winter wet. All she could think of was agastaches, though ‘Black Adder’ looked pretty happy to me. The kniphofias are a Digging Dog specialty. Indeed, the roadsides of Mendocino are full of wild kniphofias, Queen Anne’s Lace, and the perennial sweet pea, Lathyrus latifolius, which I discovered as we drove on to the Mendocino Coast Botanical Gardens, where Digitalis lanata made me dizzy with desire. Grown here in full sun, but most references list it for shade. 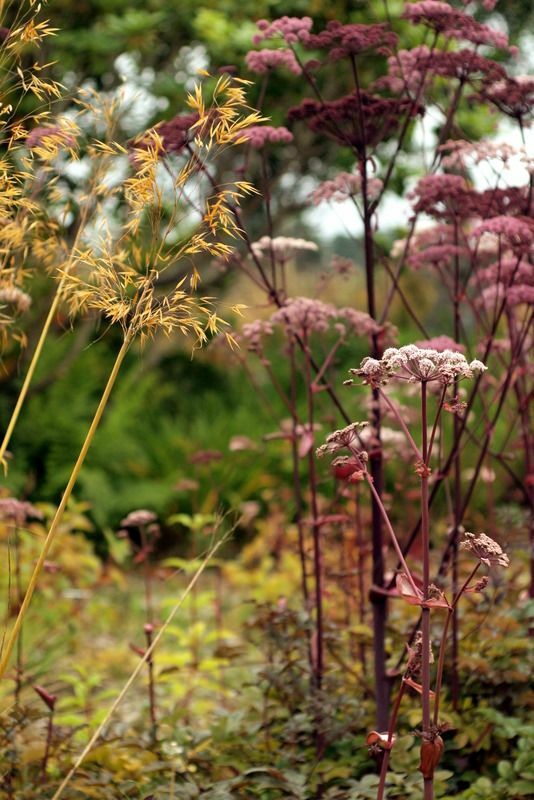 And the infamous umbellifer, Angelica stricta ‘Purpurea’ growing lustily like bronze fennel. 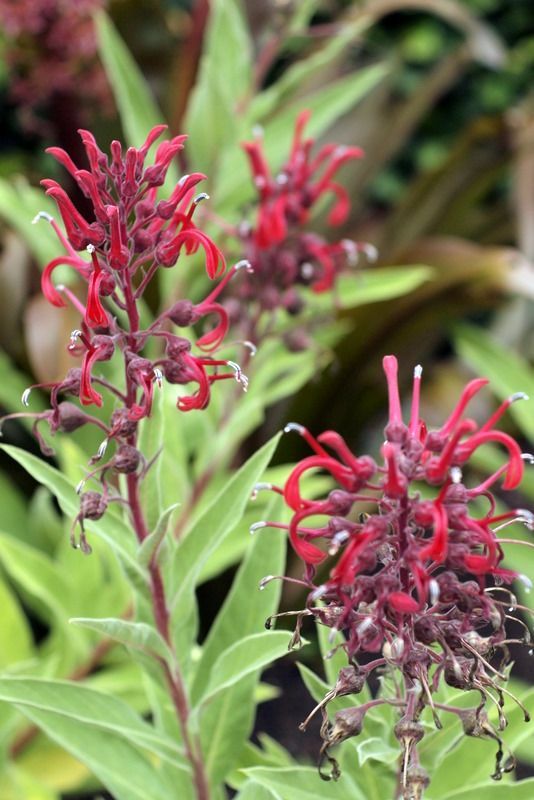 Lobelia tupa was grown extensively at both Digging Dog and the MCBG. 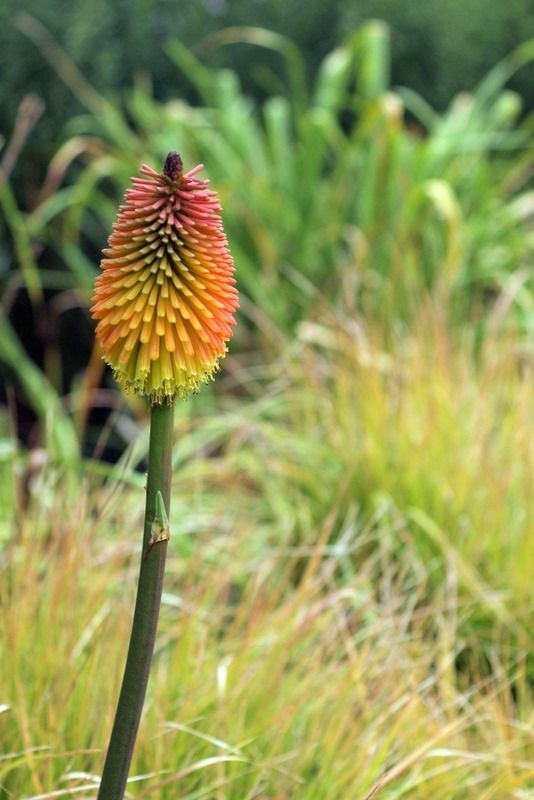 This one named ‘Teddy’ was more graceful in bearing and looked like it had the makings of a good garden plant. 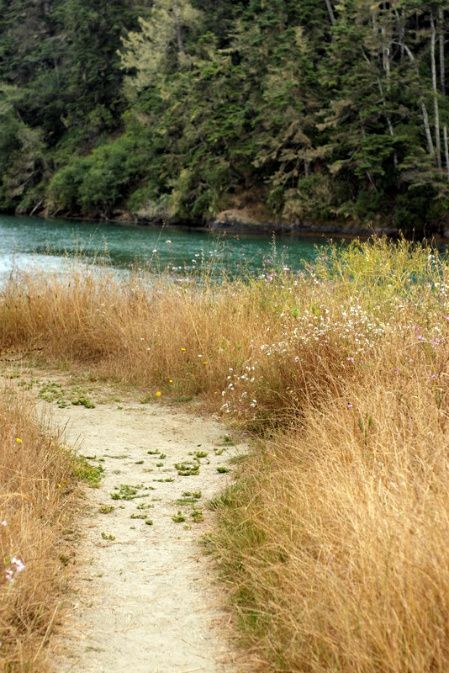 The timing of blooms on the Mendocino coast was mystifying. Early-blooming plants like cistus and romneya were in still in flower, but so were the crinums/”naked ladies” and fall-blooming cyclamen. Autumnal colors. 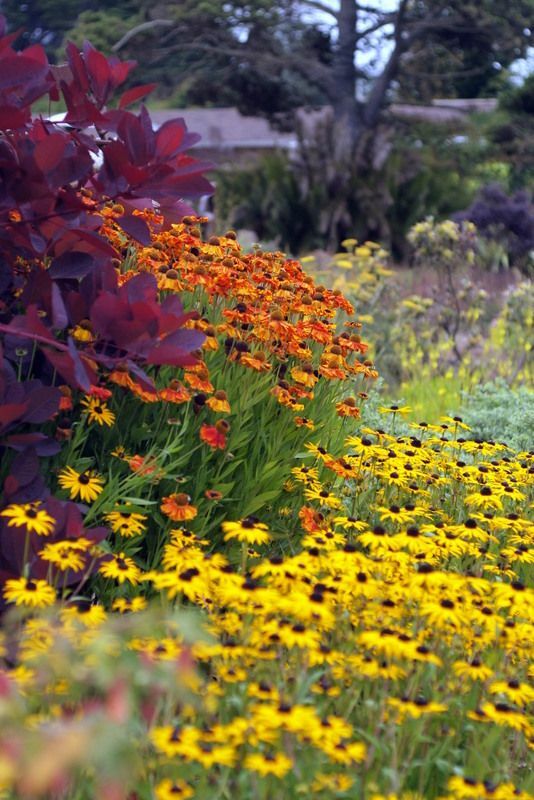 Smoke tree, heleniums and rudbeckia. 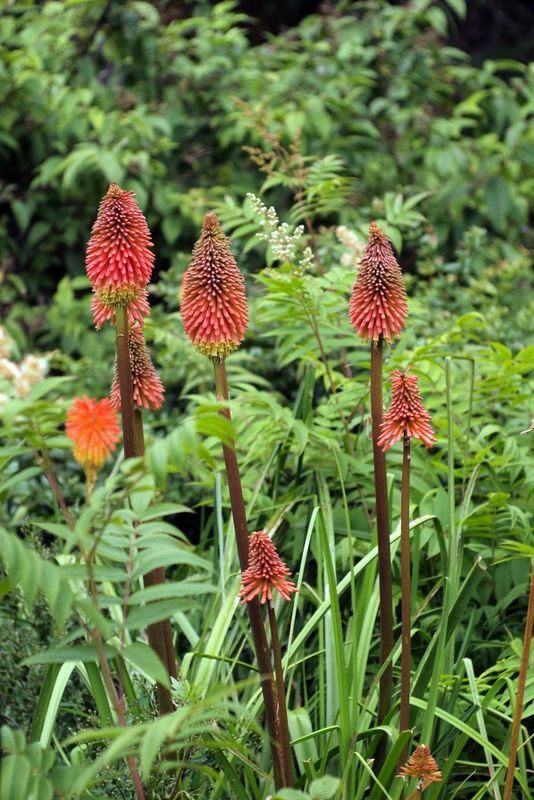 This Kniphofia thompsonii var. snowdenii is starting to rebloom in my garden, spikes about 2 feet tall. 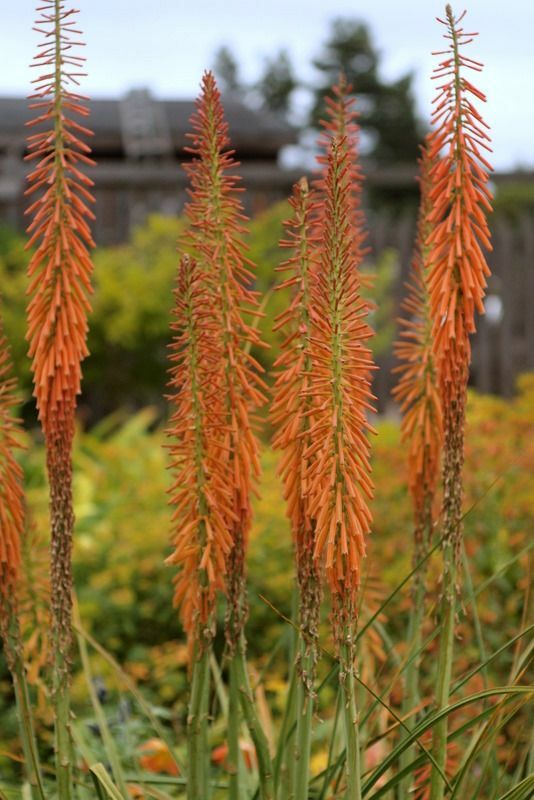 It has, however, never looked like this, brandishing orange spears over 5 feet in height, similar in effect to eremurus. 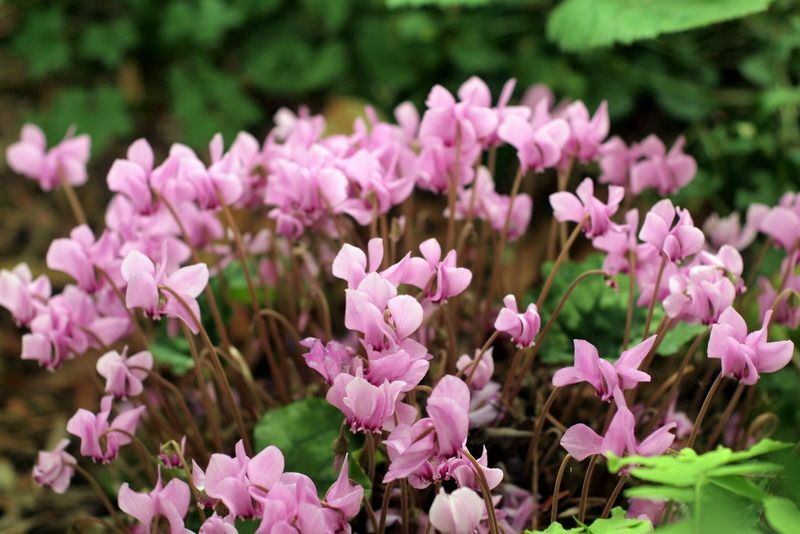 One of the great virtues of garden visiting is encountering a familiar plant but much better grown — and then deciding if its paler performance in your garden is worth keeping. And so home again, loaded with new plants to try. See bottom of the list of Recent Plant Purchases. One last note to document a weird coincidence. 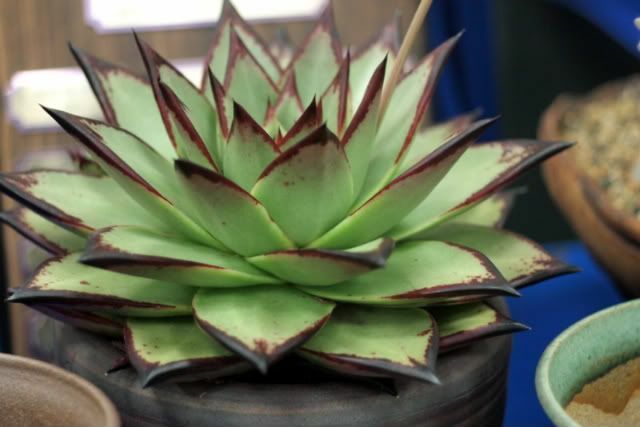 Just before leaving I received an email asking if I knew of a source for Echeveria agavoides ‘Ebony,’ and I had to regretfully answer that I currently knew of no source. I was able to write back upon return that I now know of a source, and it is the nursery Cottage Gardens of Petaluma, about 40 minutes north of San Francisco. There sat the rarity in one of their raised-bed display gardens, and I was told that a few offsets will be up for sale in about three weeks. And the gentleman I spoke with, possibly the owner Bruce Shanks, confirmed that he presently knew of no other source other than the few he propagates from his mother plant. 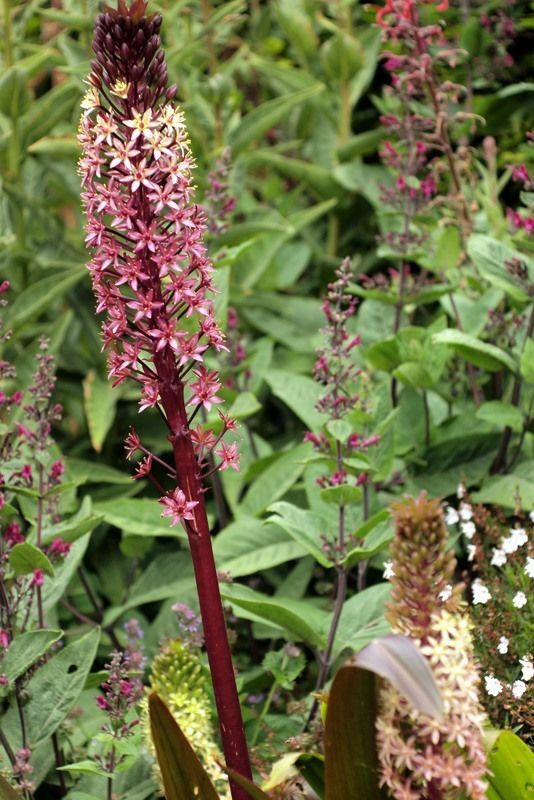 This entry was posted in garden travel, Plant Portraits and tagged Angelica stricta 'Purpurea', Bupleurum fruticosum, Digging Dog Nursery, Digitalis lanata, Echeveria agavoides 'Ebony', eucomis, Kniphofia thompsonii var. snowdenii, Lobelia tupa, MacKerricher State Park, Mendocino Coast Botanical Gardens, Mendocino Headlands State Park, Van Damme State Park. Bookmark the permalink. 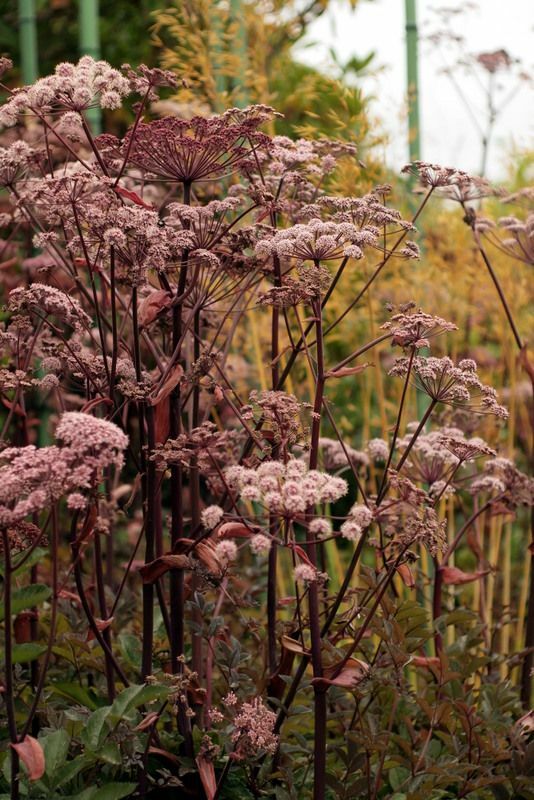 What a delightful report on the Digging Dog plants I can’t grow, and many I don’t know at all, especially that roadside angelica. But I’m left with a feeling of green envy, cursing my climate and cold, wet clay. Now I have to regain my composure, think I’m practicing yoga, and recenter. Count my blessings. Thanks. What a wonderful escape! Glad you survived sans cell phone. Do you have a button to control the volume/presence of your music? It’s nice but it doesn’t blend well with my classical in the background! James, I’m recentering right along with you. What a magical place to grow plants. Loree, not everyone lost their service, but our service provider sure didn’t cut the mustard. And congrats on your writeup today! Jenn, I’ve turned the autoplay off. Thanks for letting me know. I’ve been trying to convince my Brit husband ( hates driving) that a road trip to Northern Cal could be as enjoyable as a walk in the English countryside. Perhaps your post will do the trick? 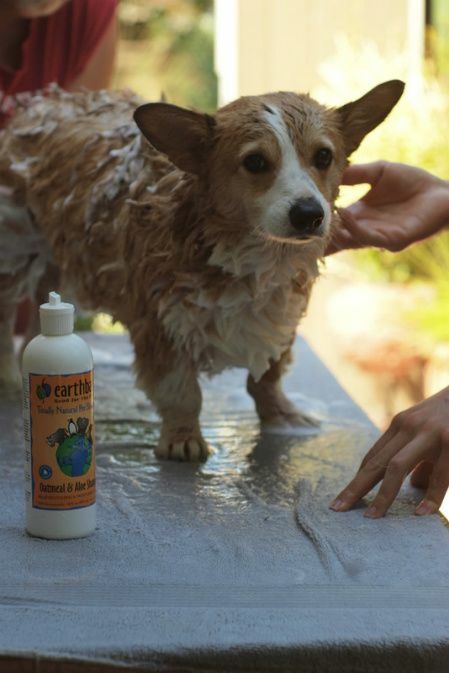 so much stuff to add to my wishlist! Digitalis lanata looks so much like my Digitalis parviflora that I wonder if mine is misidentified. Checking on Google, parviflora is much darker than the lanata which is closer in color to what I have. I picked up some extra parviflora seeds the other day to supplement the supply from my own “parviflora” plant so I may have lanata AND parviflora seeds now! It’s cool to see that Angelica in bloom, I have the plant this year and it should bloom next year. So much great stuff at Digging Dog, I hope to visit someday. and that Verbena bonariensis! That’s a great variation in form! 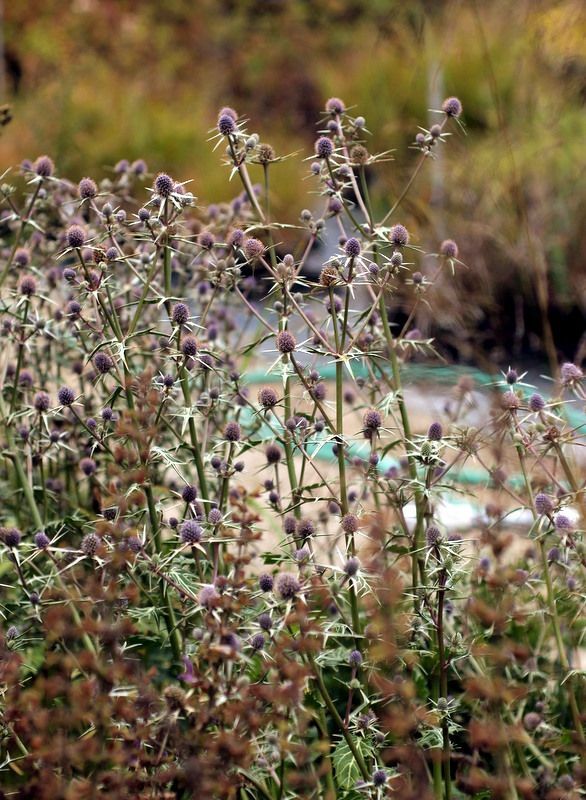 At first I thought it was an Eryngium I recently saw in a book with similarly small purple flower heads. 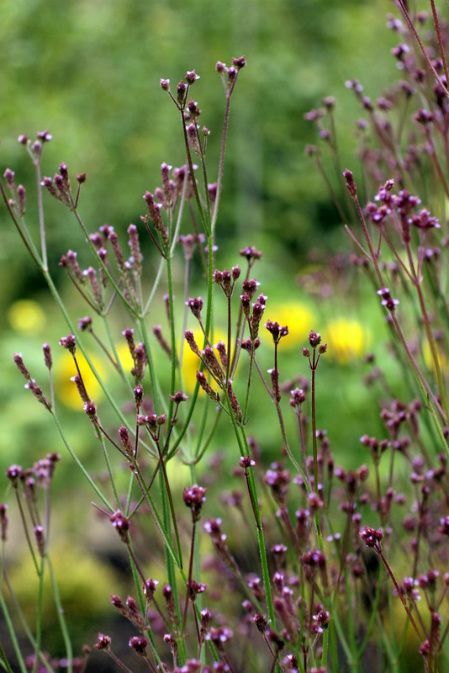 I tried Ligusticum scoticum from seed and nothing germinated, but I’m determined to try again. Yay!!!! We didn’t make it to Digging Dog when we were up there (Anderson Valley Brewery won out for our stop off on the way home). We were kind of planted out by the end of the trip. Love all your pics! Let us know next time you’re in SF (even for a few minutes). We’d love to meet you! amazing!! wish I were closer to CA!! thanks for sharing these awesome shots!! – bon in nebraska! So glad you got to visit DD..it’s in my all time top 5 nation-wide. I’ll be there in October, no camping though for me ! How funny,while you were in Norcal, I was in New England. 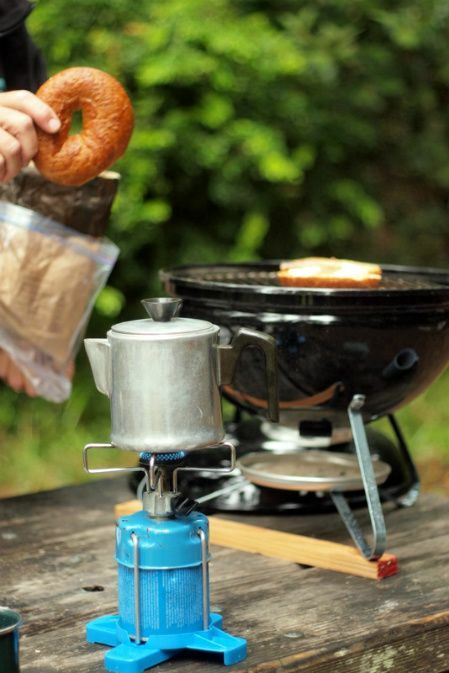 Camping and garden visits, I’m in!